Sometime in June 1837, a young minister, the Rev. Andrew Boyd Cross, found his way to the mill town of Franklinville. He gathered a group of willing listeners and preached to them in the building called “the little schoolhouse on the hill,” which had been constructed a decade earlier by the mill owners as a “schoolhouse and a place of worship” for the families that lived in Franklinville and worked in the mill. He started a Sunday School and although that same year he became the pastor of Bethel Church in Harford County, he continued to preach in Franklinville when he could. He did missionary work and probably did not receive any salary. 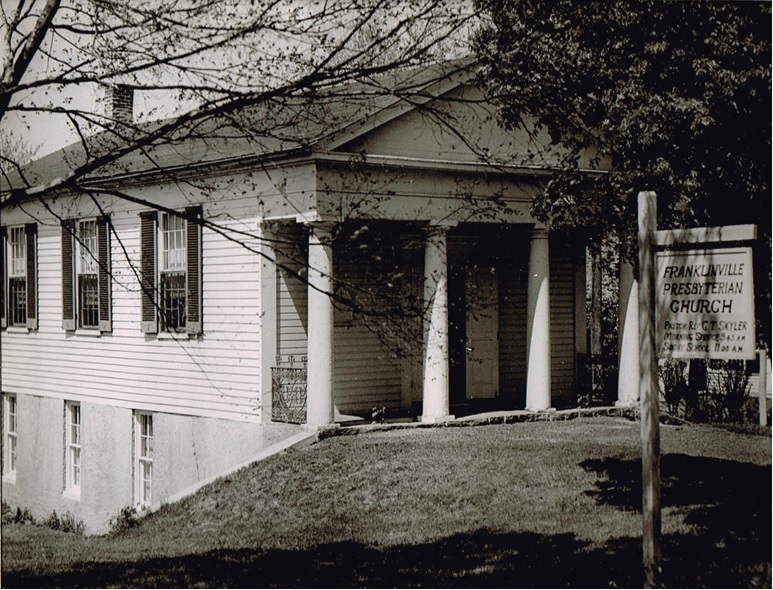 At a meeting of the Baltimore Presbytery in 1838, a petition was received from individuals – “four male and five females” – for the organization of a Presbyterian church in Franklinville. The next year, 1839, the petition was granted and a congregation was organized. From 1842 – 1845 the Rev. Isaac Hall was assigned to half time work at the Bel Air Presbyterian church and to half time at Franklinville. By then, though, the congregation had dwindled to only ten members and services were held irregularly; but the church remained alive, much to the credit of the Baltimore Presbytery. Then in 1849, the Rev. E.N. Bosworth, who preached also at Bel Air, began regular services at Franklinville and there came a revival of activity again. The mill was working at full capacity and the villagers could afford to contribute money. 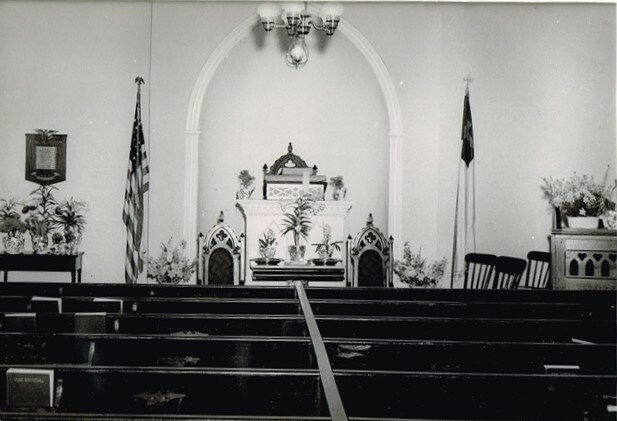 That same year the congregation erected the present building (pictured above) on land owned by Mr. James Mahool, who, in 1854 deeded the one half acre to the Franklinville Presbyterian Church “forever.” The original pews, joined straight across with aisles down the sides, until separated in the early 1960’s, are still in use. Since there were carpenters in the village, the congregation did the work. In 1852, the church received the charter of incorporation from the Baltimore Presbytery and the congregation could then elect officers. That same year Trustees purchased for $700.00 the house directly opposite to the church as a manse and the Rev Bosworth occupied it as the first resident minister. After he left in 1853, the church had a succession of Supply Ministers. The Rev. Thomas S.C. Smith came and held regular services until 1869. Then followed more Supply Ministers.